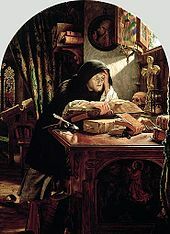 This article is about the monk who started the Reformation. For the activist, see Martin Luther King Jr.
For other uses, see Martin Luther (disambiguation). 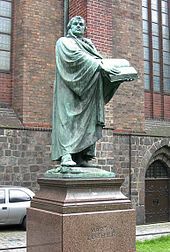 Luther made his pronouncements from Wartburg in the context of rapid developments at Wittenberg, of which he was kept fully informed. 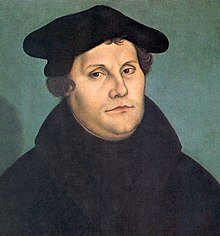 Andreas Karlstadt, supported by the ex-Augustinian Gabriel Zwilling, embarked on a radical programme of reform there in June 1521, exceeding anything envisaged by Luther. 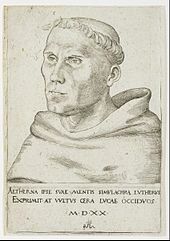 The reforms provoked disturbances, including a revolt by the Augustinian friars against their prior, the smashing of statues and images in churches, and denunciations of the magistracy. 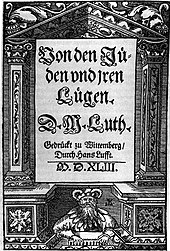 After secretly visiting Wittenberg in early December 1521, Luther wrote A Sincere Admonition by Martin Luther to All Christians to Guard Against Insurrection and Rebellion. 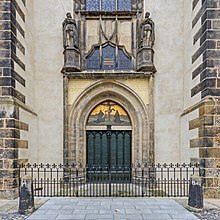 Wittenberg became even more volatile after Christmas when a band of visionary zealots, the so-called Zwickau prophets, arrived, preaching revolutionary doctrines such as the equality of man,[clarification needed] adult baptism, and Christ's imminent return. 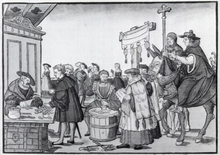 When the town council asked Luther to return, he decided it was his duty to act. 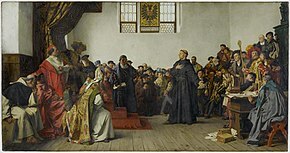 ^ "Luther meets with Cajetan at Augsburg". Reformation 500 – Concordia Seminary, St. Louis. 2012-01-11. Retrieved 28 March 2016. ^ "Mentelin Bible". World Digital Library. 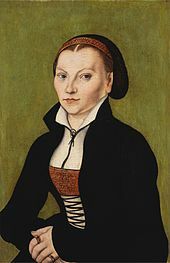 1466. Retrieved June 2, 2018. 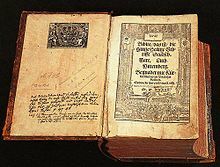 ^ "Koberger Bible". 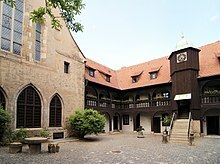 World Digital Library. 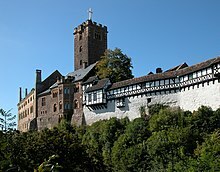 1483. Retrieved June 2, 2018. ^ Gow, Andrew C. (2009). 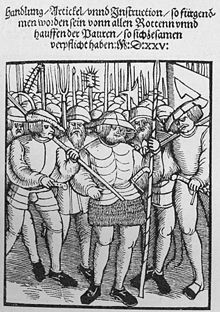 "The Contested History of a Book: The German Bible of the Later Middle Ages and Reformation in Legend, Ideology, and Scholarship" (PDF). The Journal of Hebrew Scriptures. 9. doi:10.5508/jhs.2009.v9.a13. ISSN 1203-1542. Retrieved June 2, 2018. ^ Ellis, Marc H. Hitler and the Holocaust, Christian Anti-Semitism" Archived 10 July 2007 at the Wayback Machine, (NP: Baylor University Center for American and Jewish Studies, Spring 2004), Slide 14. "Archived copy". Archived from the original on 22 April 2006. Retrieved 2006-04-22. CS1 maint: Archived copy as title (link). ^ McKim, Donald K (2003-07-10). 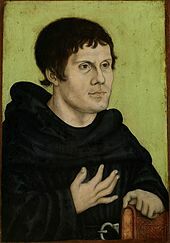 The Cambridge Companion to Martin Luther. ISBN 978-0-521-01673-5. Lull, Timothy F.; Nelson, Derek R. (2015). 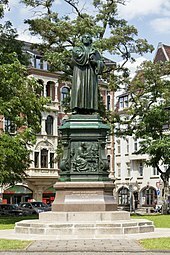 Resilient Reformer: The Life and Thought of Martin Luther. Minneapolis, MN: Fortress. ISBN 978-1-4514-9415-0 – via Project MUSE. (Subscription required (help)).